The Sandcastle Inn is located along the beautiful New Jersey Shore in Bradley Beach, just 1.5 blocks from the Atlantic Ocean and minutes from neighboring historic Ocean Grove and picturesque Avon-by-the-Sea. 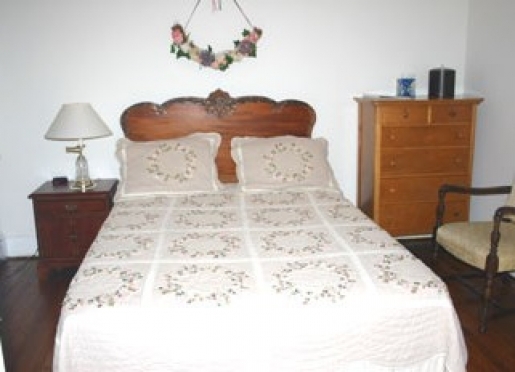 Why not treat yourself to a rejuvenating weekend or relaxing vacation at our New Jersey Bed and Breakfast located in Bradley Beach? All rooms and suites have been recently renovated to assure you and your family the convenience and luxury of modern amenities, combined with the charm of old world seashore living. 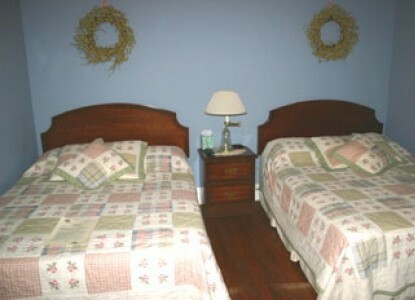 All rooms feature cable TV, DVD, wireless internet, ceiling fan, air conditioning, beach badges, chairs and umbrella. 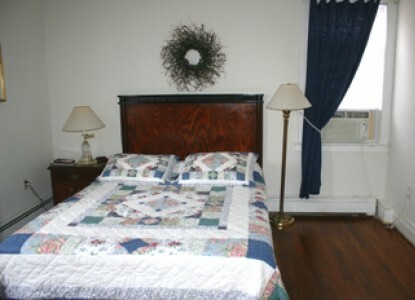 The White Mountains are the reason most travelers’ visit our inn. beautiful foliage and trees in the fall. The inn is best known for its historic background and community. The house was built for the Libby Family in the 1600’s. The Mount Washington Auto Road. passed down for three generations. There are restaurant and antique shops within walking distance. bedroom suite that can be two separate rooms upon the travelers’ request. Yes, we do accept pets. Visit family-oriented Bradley Beach. Feel free to relax in your beach chair and get a tan. Have fun building a sandcastle and swimming in the ocean. Daily or seasonal beach badges can be purchased on the boardwalk. Lifeguards are protecting swimmers throughout the summer months. Surfing, Fishing, Miniature Golf, Bocce are also available. 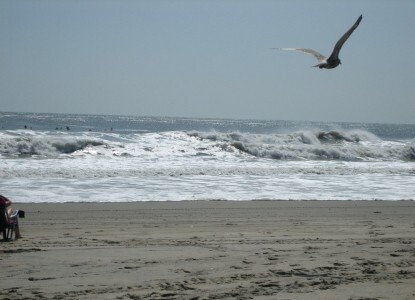 There are also a number of area attractions located just outside the Jersey Shore town of Bradley Beach, NJ. You may wish to bicycle around town or explore the quaint towns of Avon-by-the-Sea, Ocean Grove, Belmar & Spring Lake. There are a number of golf courses in the area. Point Pleasant Boardwalk is just 20 minutes away offering rides, amusements and the Jenkinson's Aquarium. The action in the Atlantic City casinos are only a little over an hour away. Great Adventure Amusement Park and Animal Safari is only 30 minutes away. And of course there are many great restaurants in town and the local area. Of course after spending the day on one of the many beaches at Bradley Beach, located 1.5 blocks away, you can relax on our beautiful wrap-around porch filled with plants, wicker and rocking chairs. We also recommend getting up early one morning to enjoy a cup of coffee while watching the beautiful NJ sunrise on the beach. 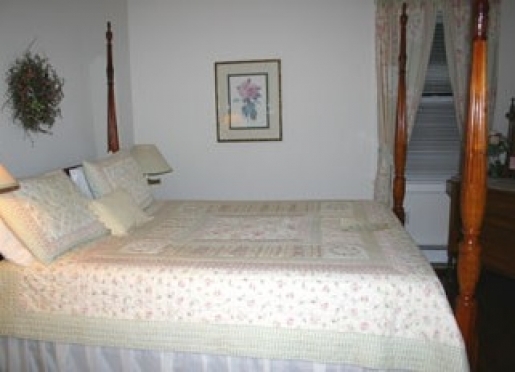 The Sandcastle Inn is conveniently located on the New Jersey Shore - just 60 miles from New York City and Philadelphia. Its proximity to major highways (NJ Turnpike, Garden State Parkway, I-195) makes it a quick, simple trip from any direction. 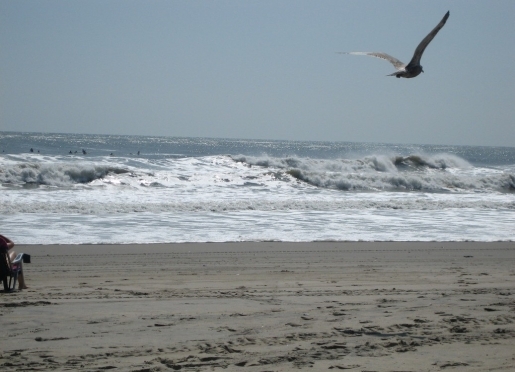 Bradley Beach is convenient to the New Jersey Transit bus and train systems. For schedule information, please call 800-772-2222. If you are coming via another highway, please call us for directions. We will be happy to help you.